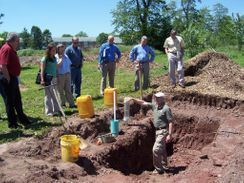 Since 1993, Lanchester Soil Consultants, Inc. has provided reliable, high-quality consulting services in soil science in Delaware and Pennsylvania. 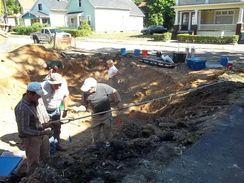 We are a small company, so all of our clients receive the direct attention of the owners, Russell and Cindy Losco, and Kelly Deckelbaum who collectively have over 50 years of experience in the fields of Soil Science, Geology, On-lot Wastewater Disposal, Stormwater Infiltration and Best Management Practices and Environmental Sciences. We Conduct Original Research, Publish the Data and Train Our Competitors and the Regulators. We pride ourselves in being very active in our profession. We conduct research and have published or presented over 12 peer reviewed papers in the last 5 years. In addition we provide constant input into the regulatory process. This allows us to help to craft the regulations that govern our industry. We Strive to Know the Regulations Better Than the Regulators. 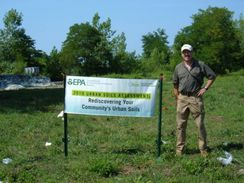 We can help you make sense of the many and confusing state and local laws regarding wastewater disposal and land development. We deal with the government so you don't have to.